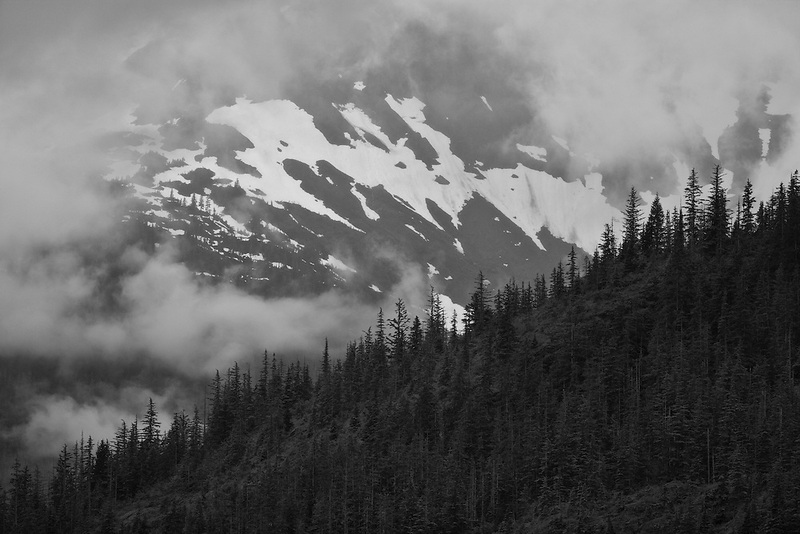 Remnants of snow in the coastal mountains of Southeast Alaska are obscurred by fog in the Tongass National Forest, part of the Inside Passage. Summer. Evening.